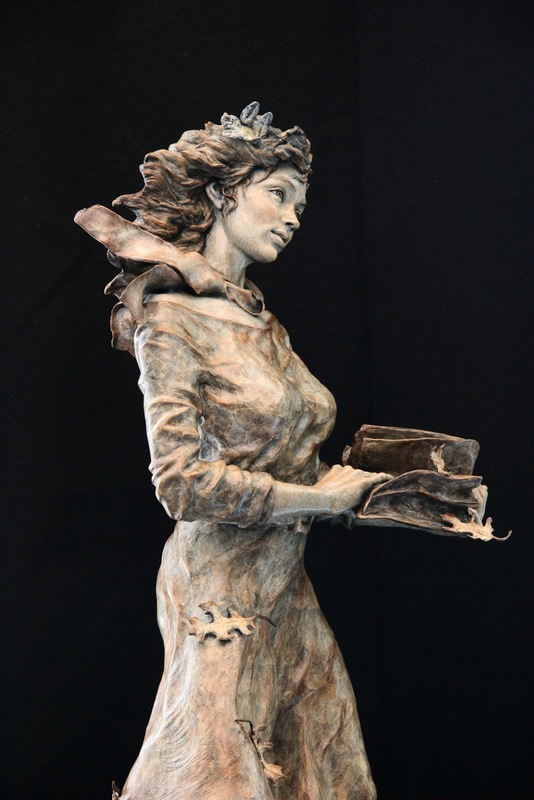 American Women Artists, recently presented two pretigious awards to Angela Mia De la Vega at its annual juried competition, this year at the K. Newby Gallery and Sculpture Garden in Tubac, Arizona. 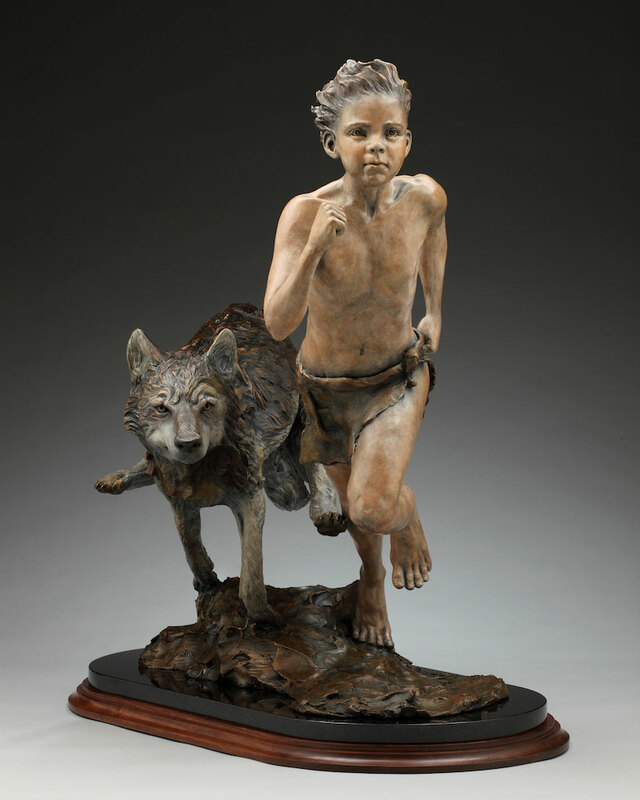 Hundreds of artists entered the competition from the U.S., Mexico and Canada; in the finals 61 paintings and drawings were chosen and 14 sculptures. 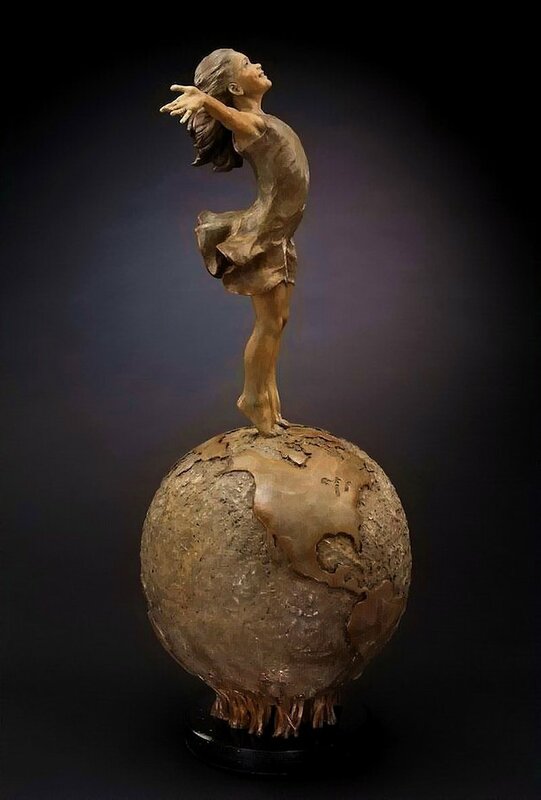 An extraordinary panel including Gay Falkenberry, Star York, Stephanie Birdsall, Sharon Fullingim, Margret Short, Deborah Reeder, Curator of the Saint George Utah Art Museum, and K.Newby Gallery owner Kim Roseman judged the 15th Annual Awards Show. 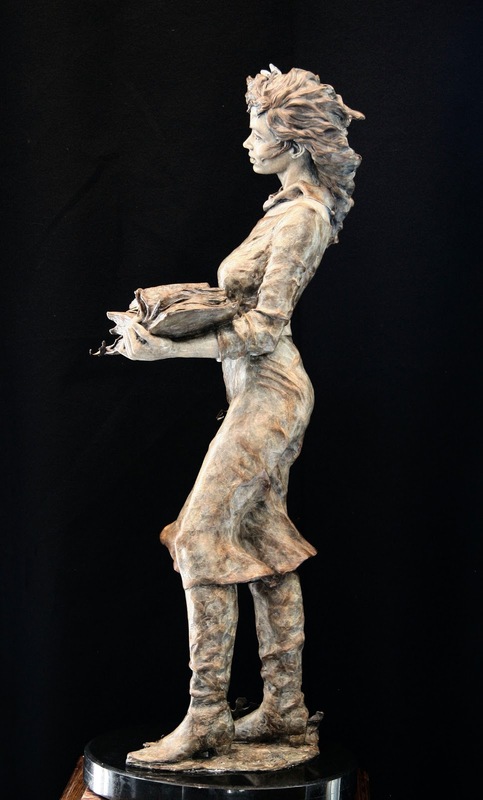 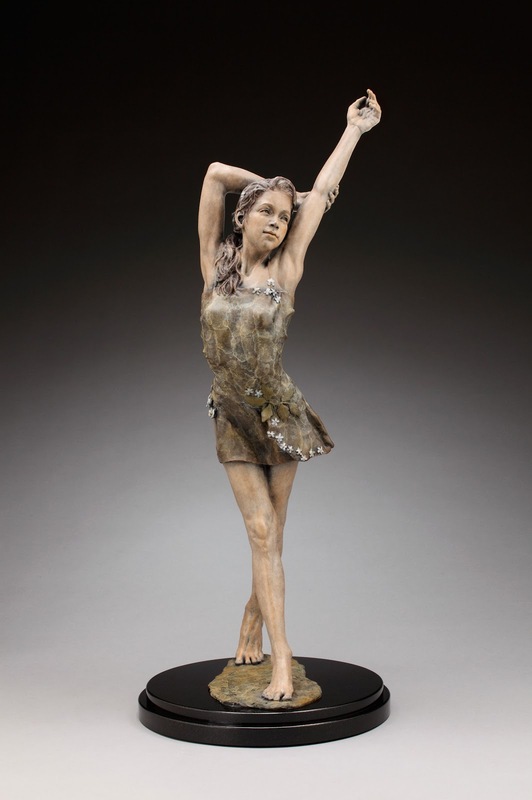 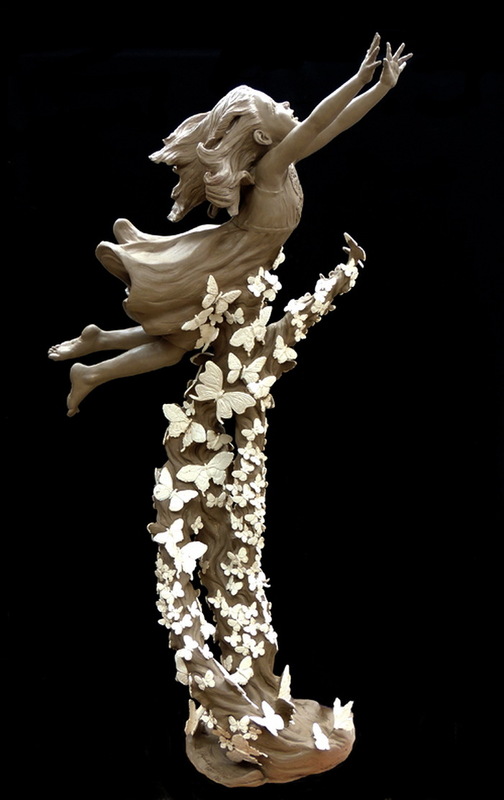 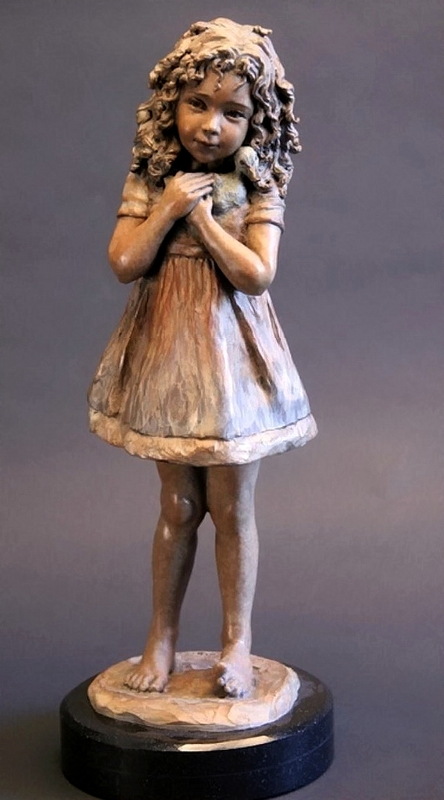 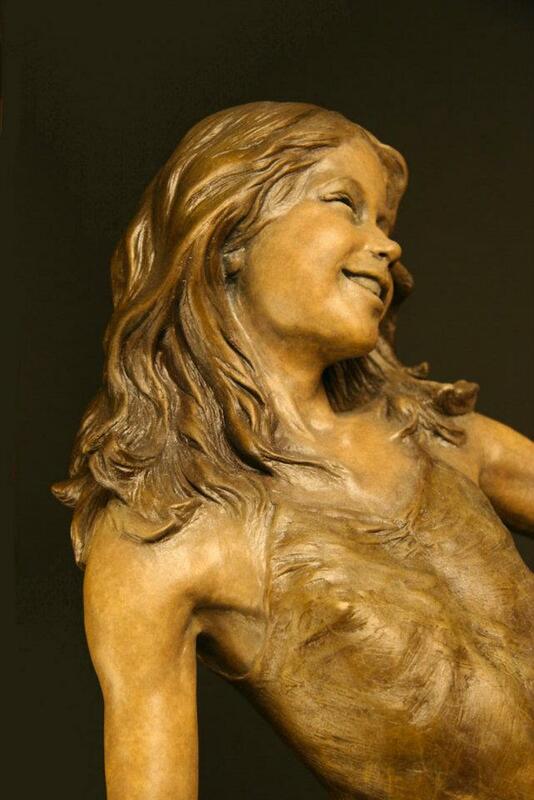 Angela's sculpture, Summer, received both Best in Show and Best 3-Dimensional Work Awards! 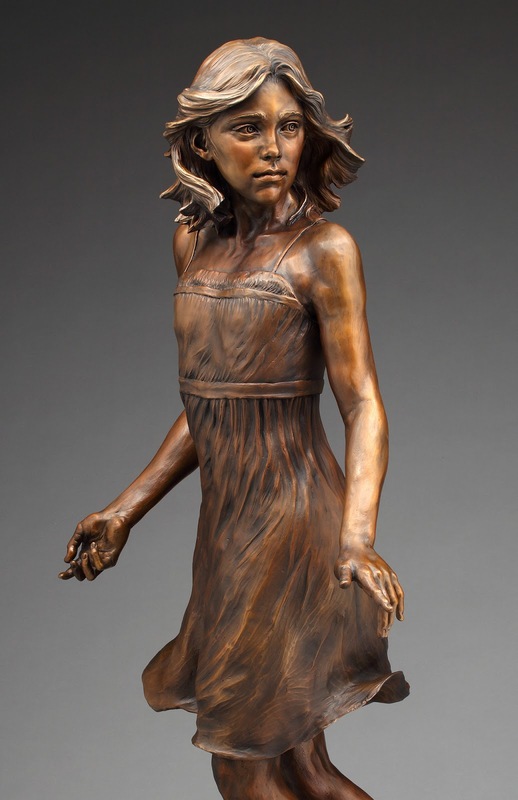 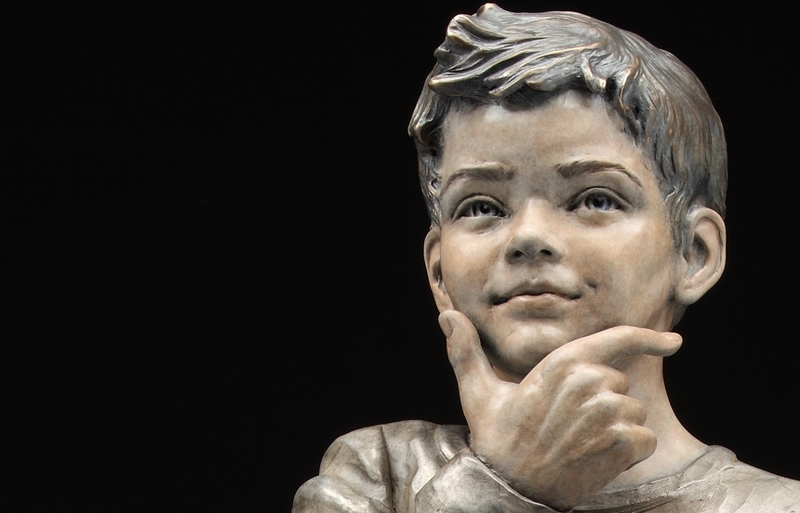 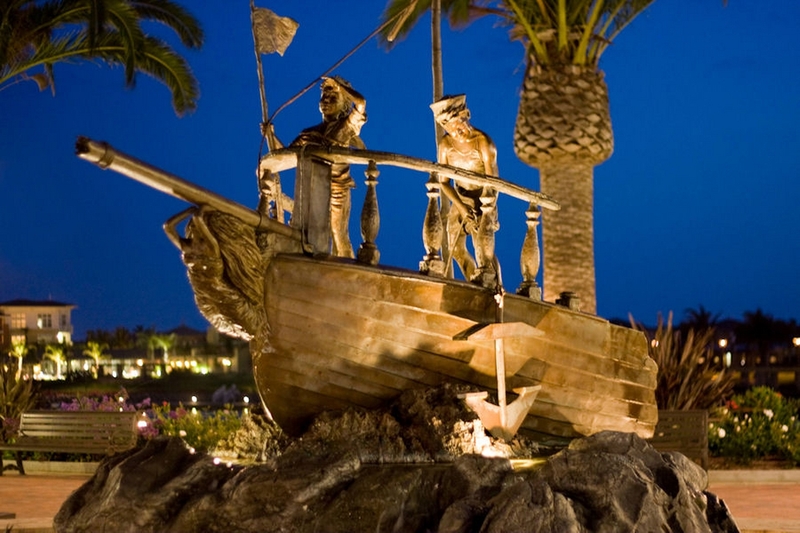 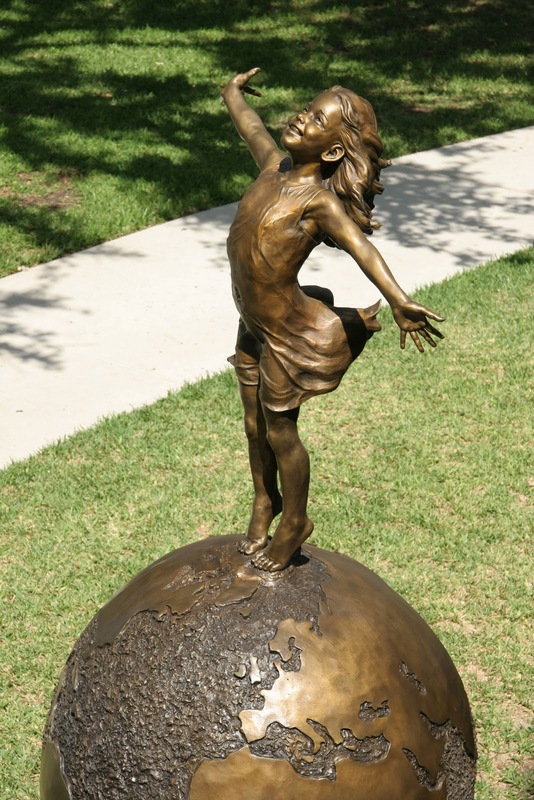 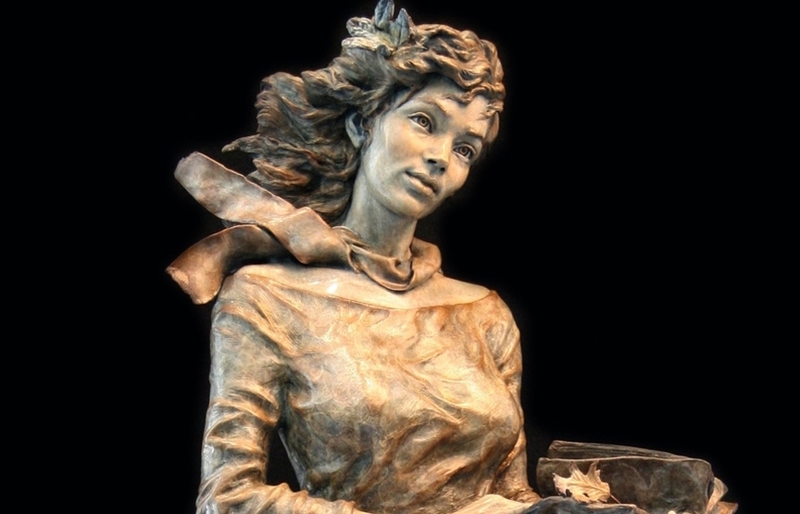 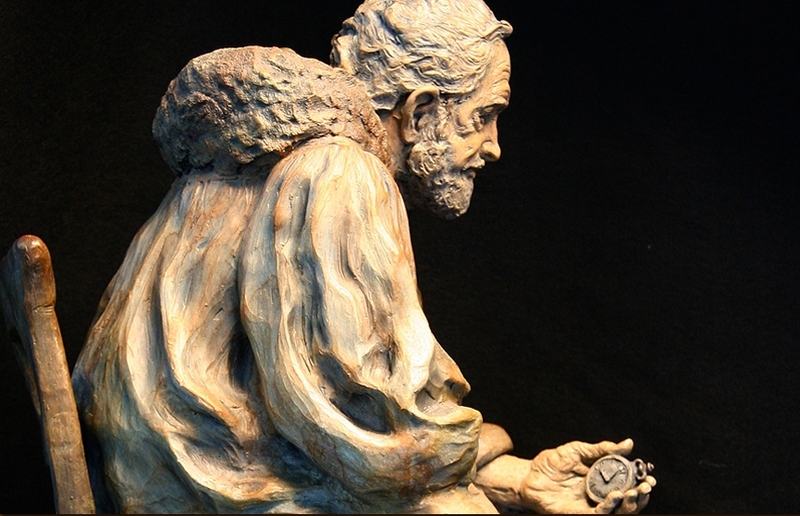 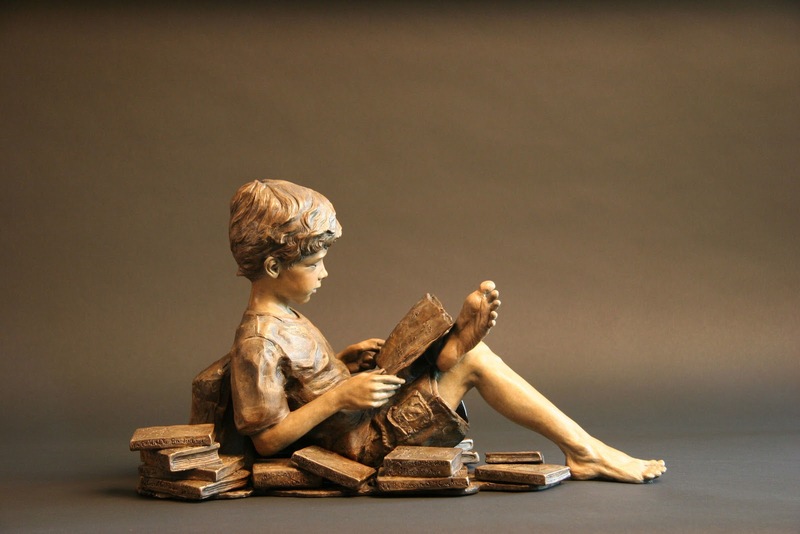 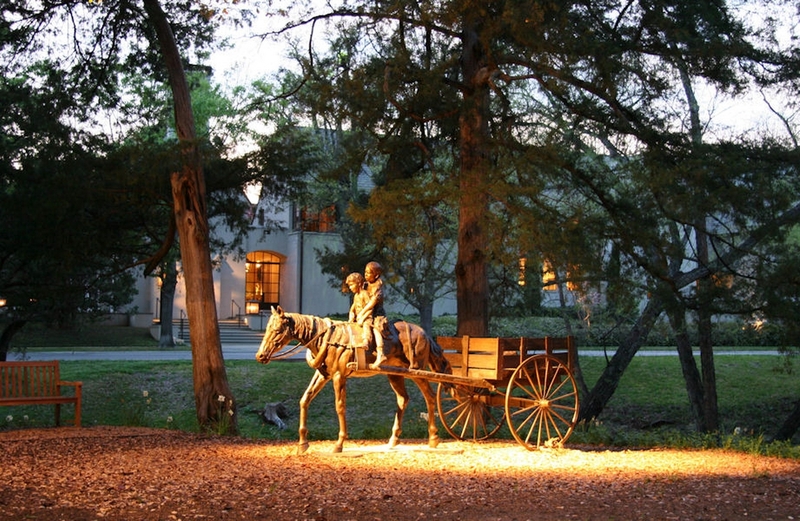 Also, the National Sculpture Society, recently presented its 79th Annual Awards Exhibition at Brookgreen Gardens, South Carolina. 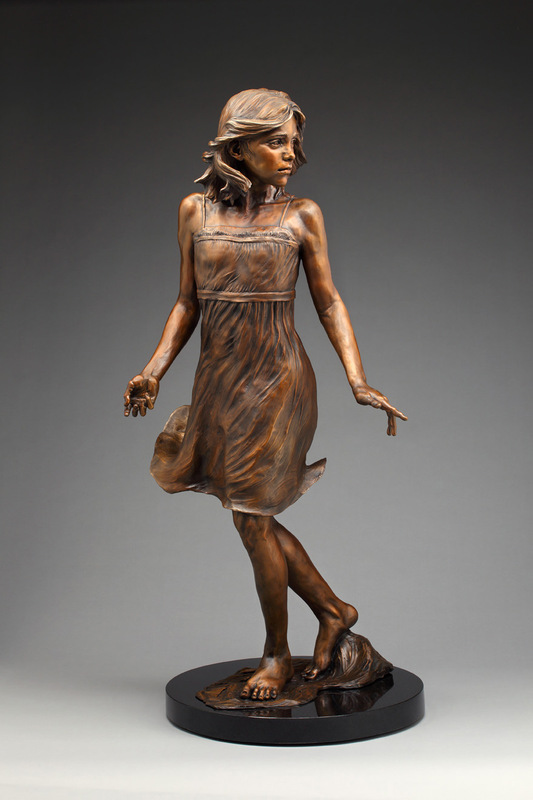 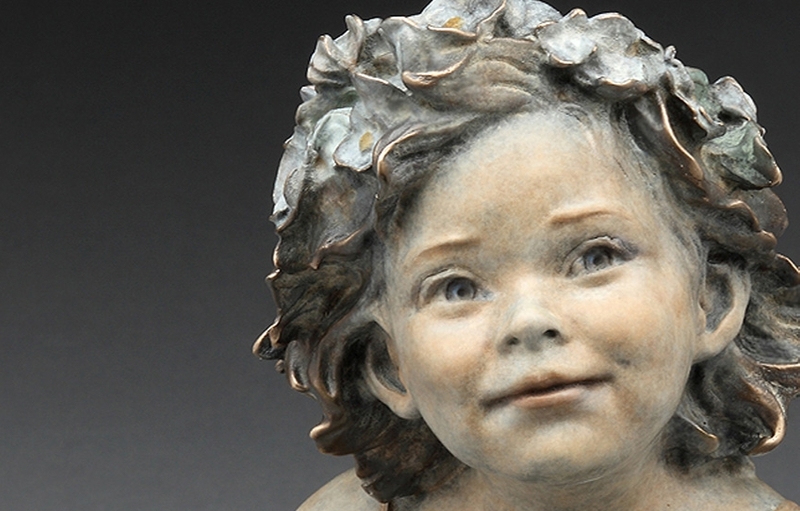 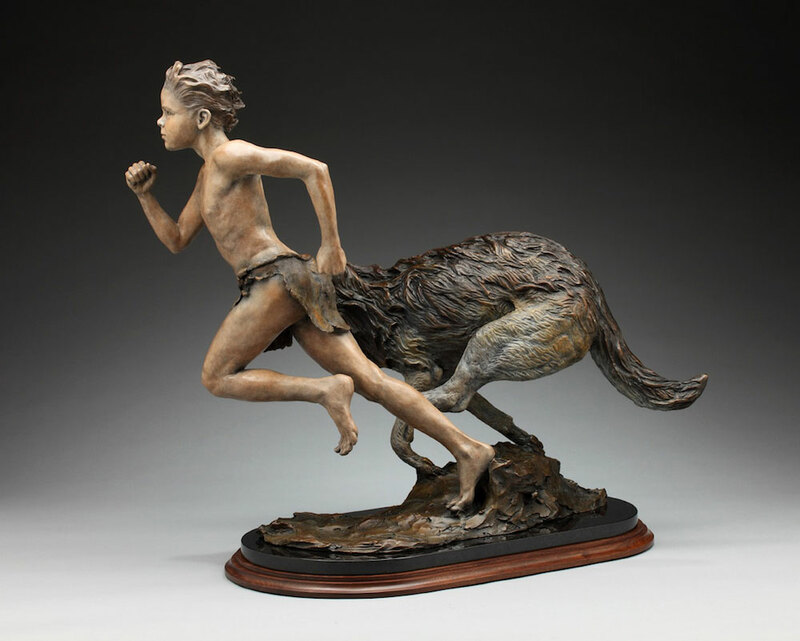 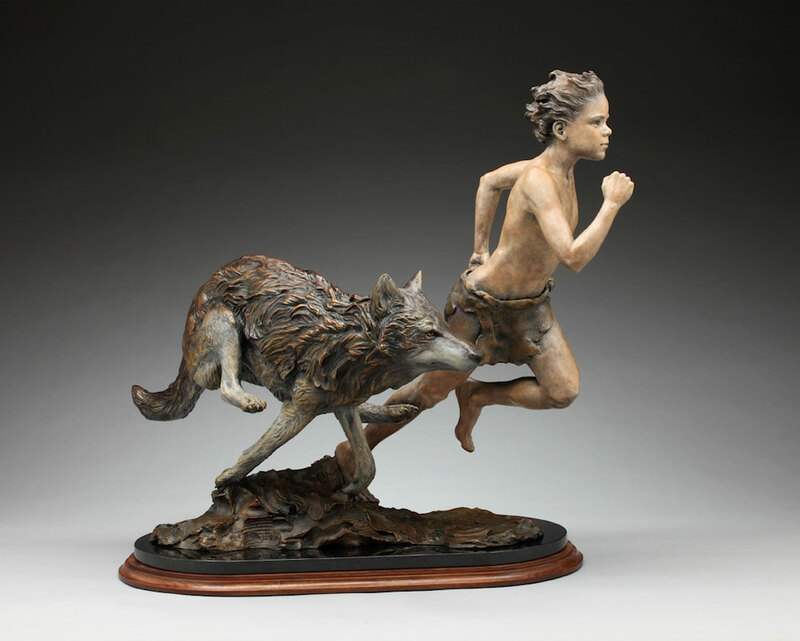 The Annual Awards Exhibition is the National Sculpture Society's most popular show. 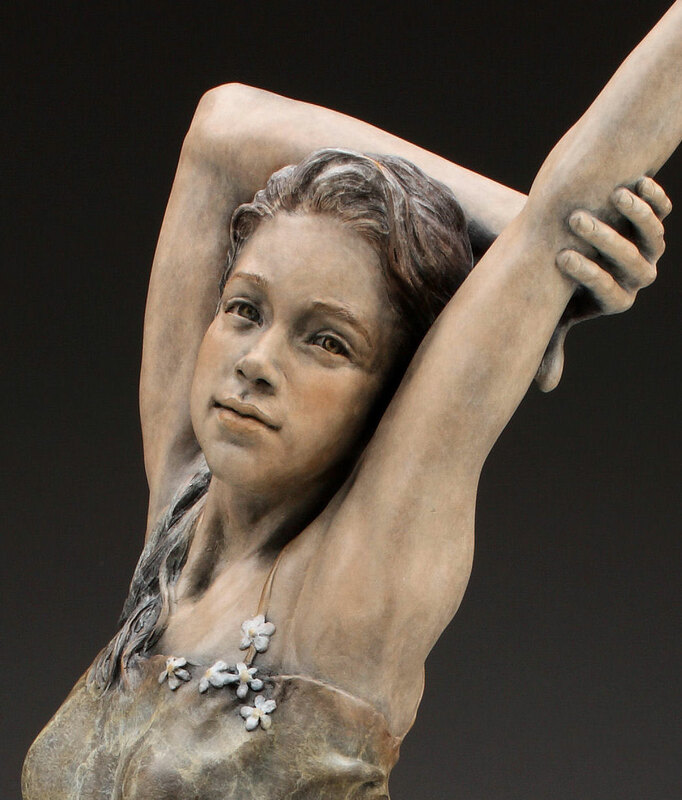 Accomplished artists apply to the juried competition which offers thousands of dollars in cash prizes. 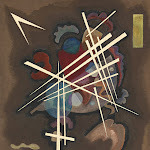 A Jury of Selection, comprised of two NSS Fellows and one curator, chose the 43 works for the exhibition. 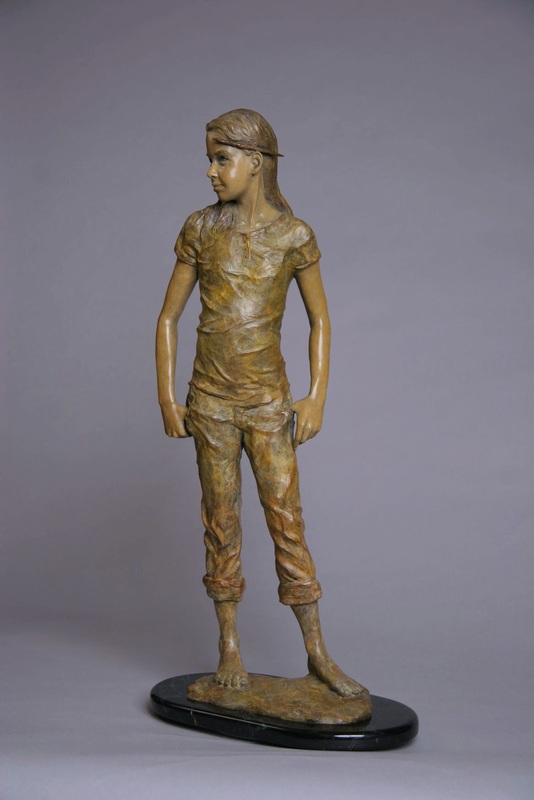 Angela's work, Pivotal Moment, won a celebrated People's Choice Award at this important event, the award orchestrated by more than 50,000 art lovers attending who voted for their favorite works. 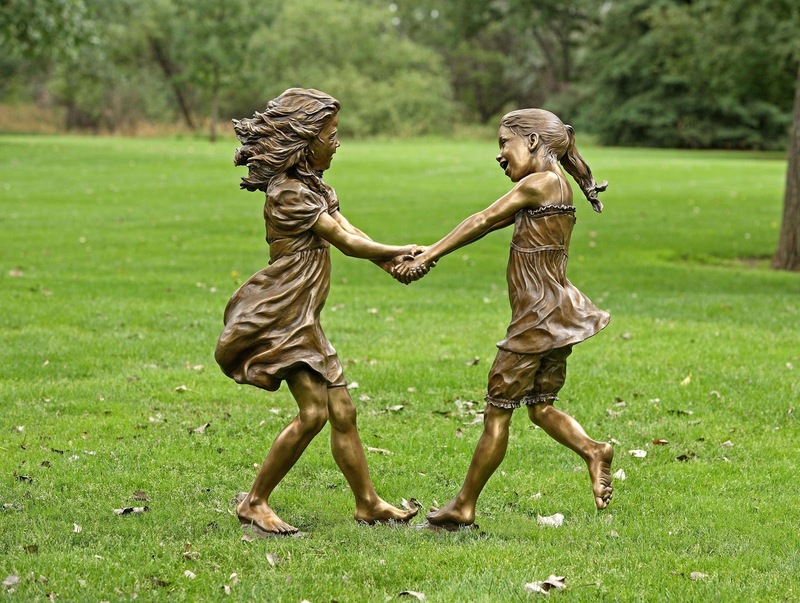 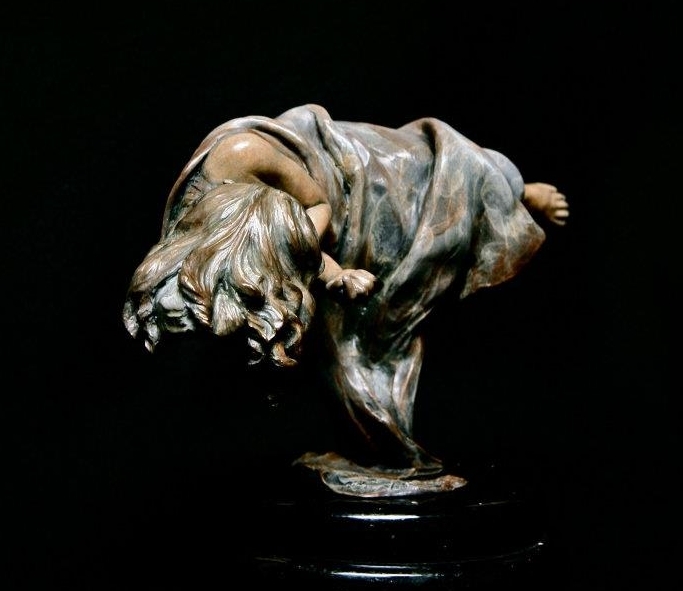 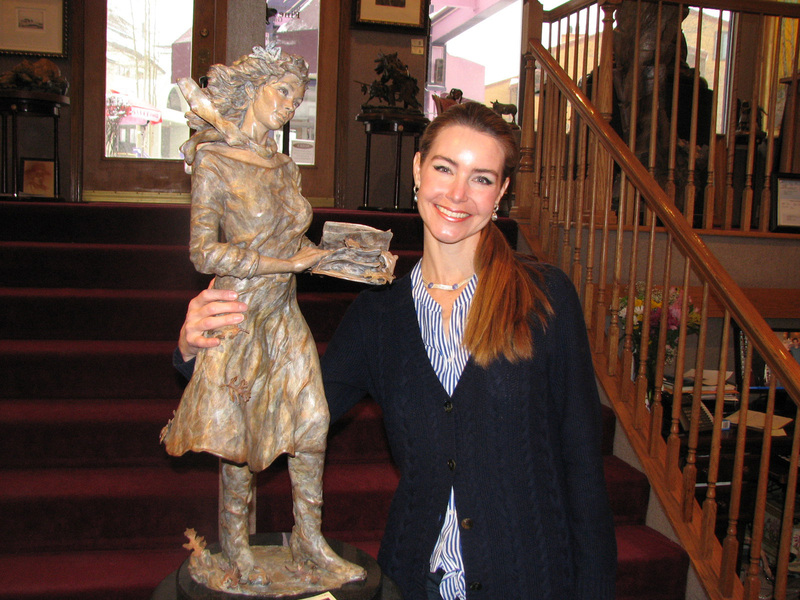 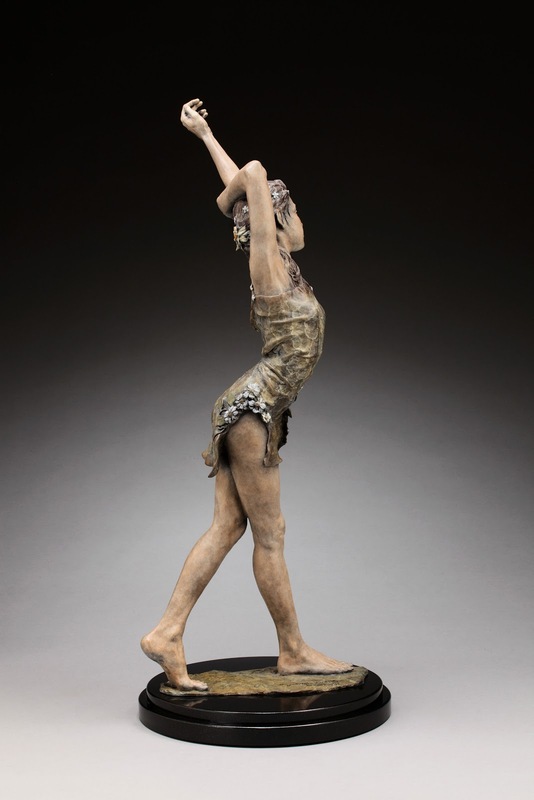 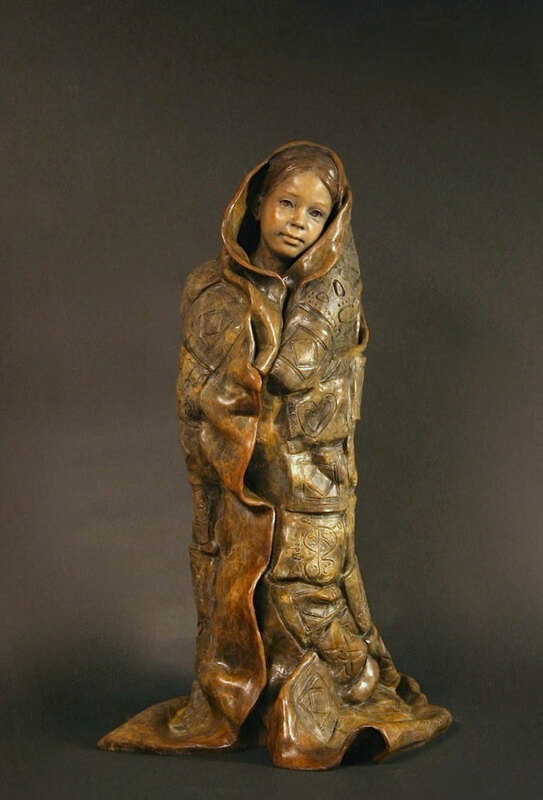 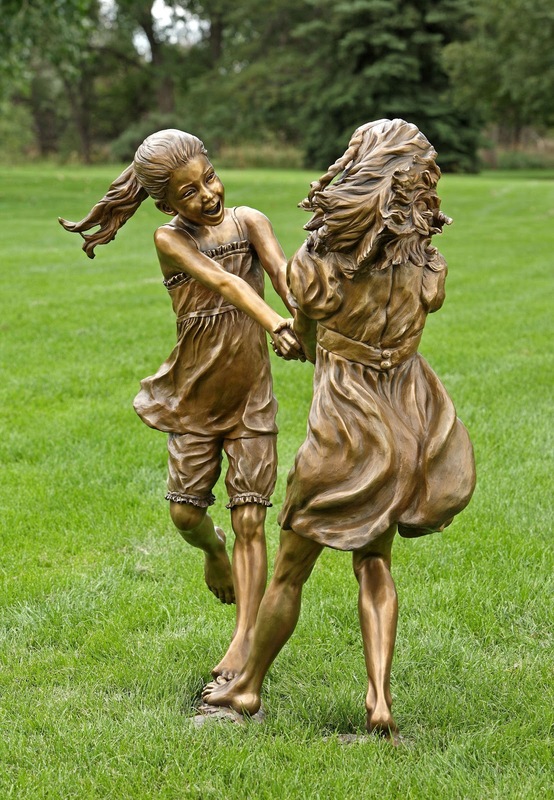 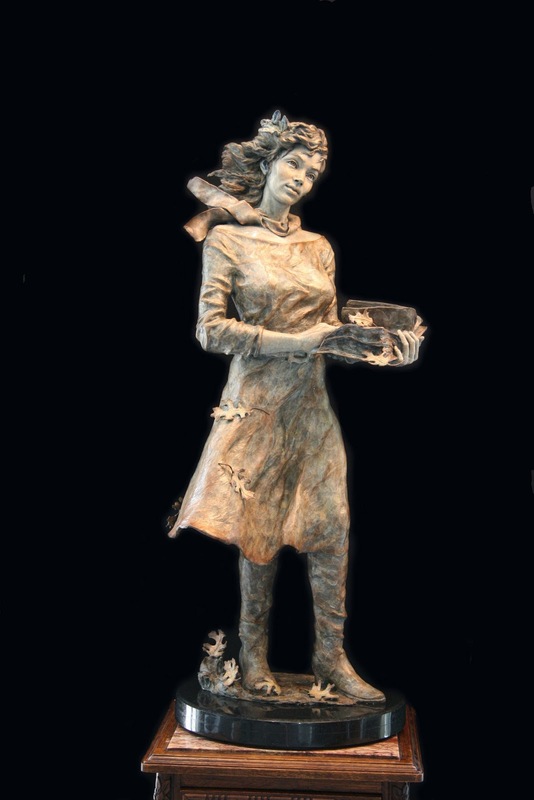 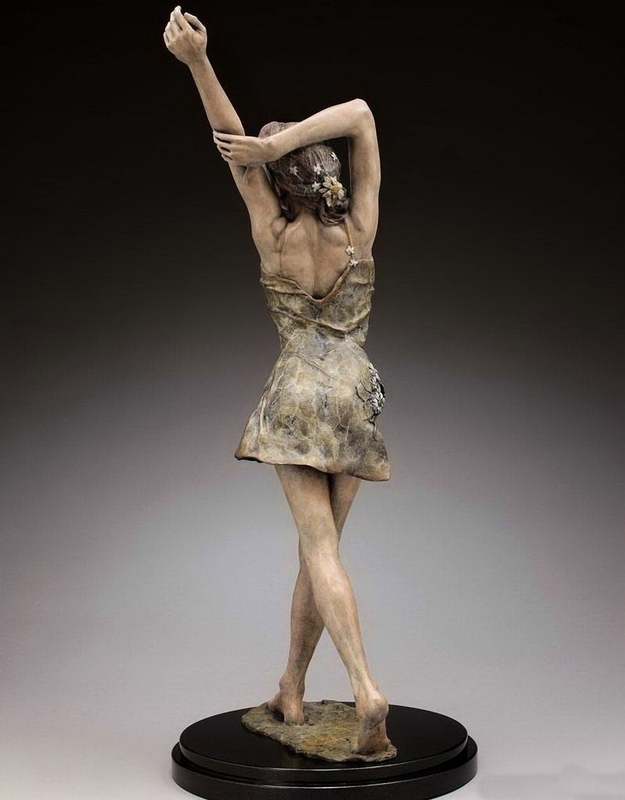 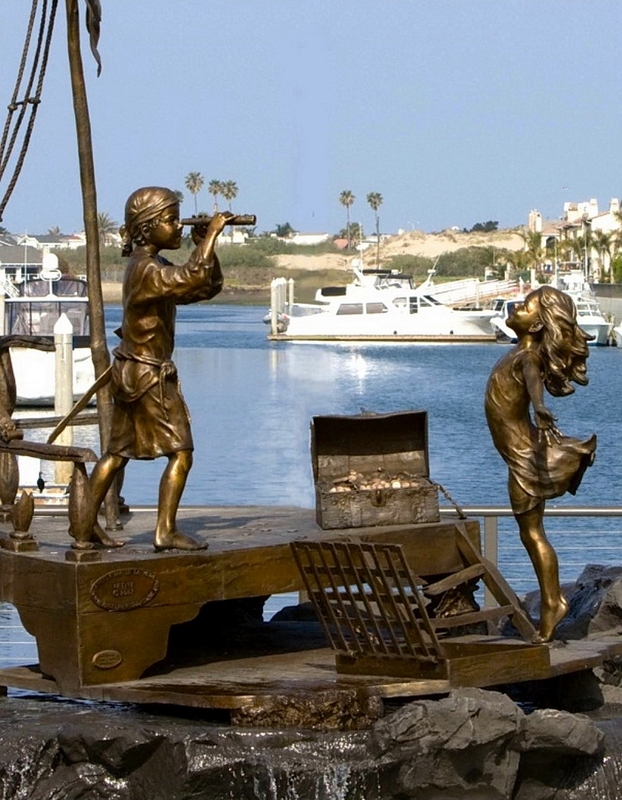 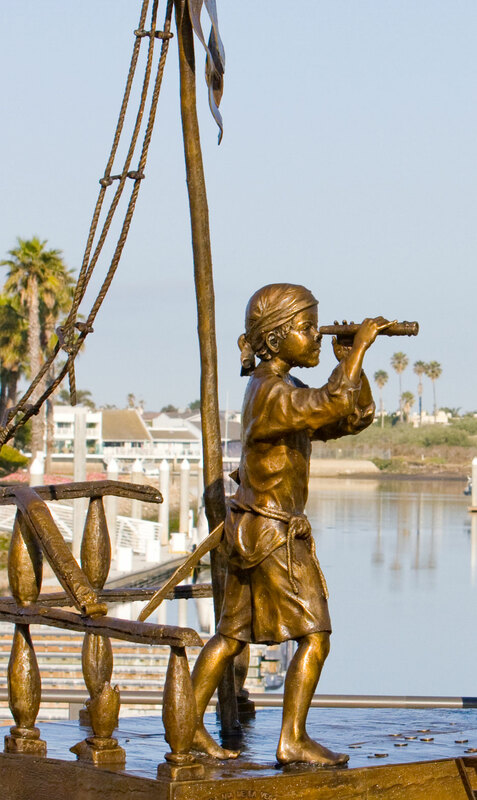 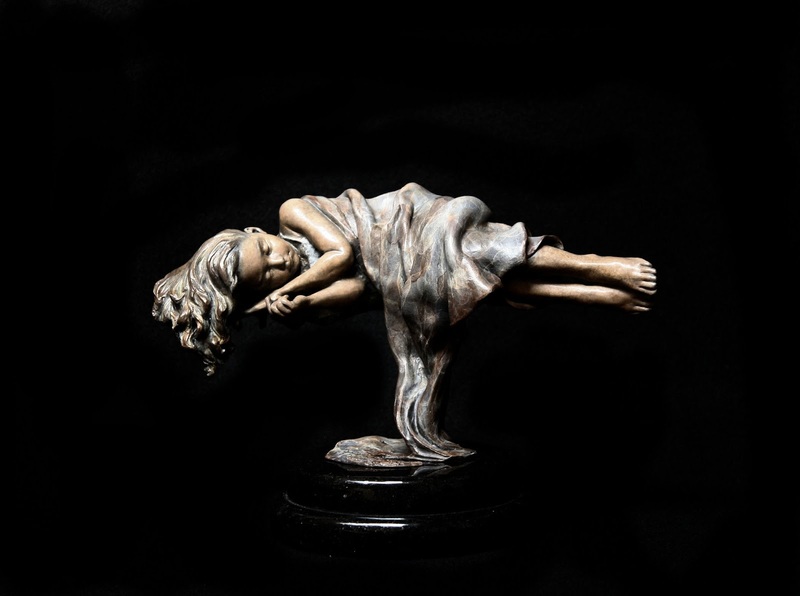 Since sculpting her first bronze in 1994, Angela Mia De la Vega has been creating figurative bronze sculptures for international collectors, corporations and institutions. 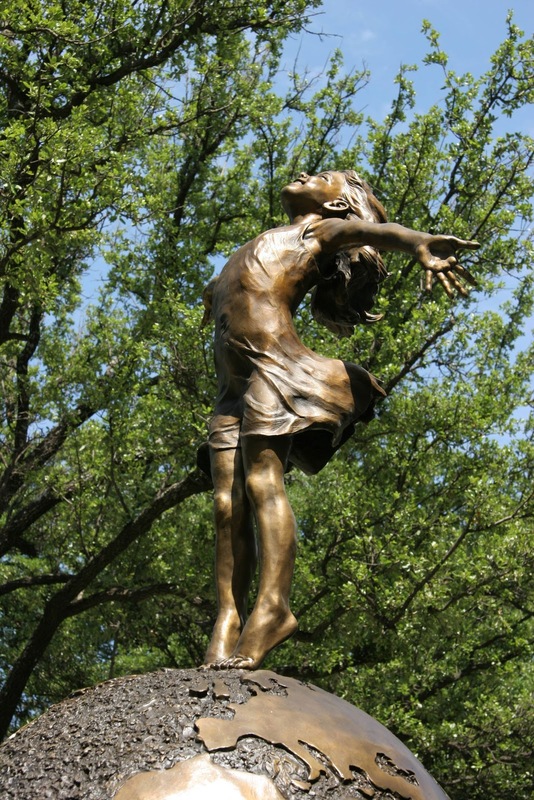 She lives and works in Texas. 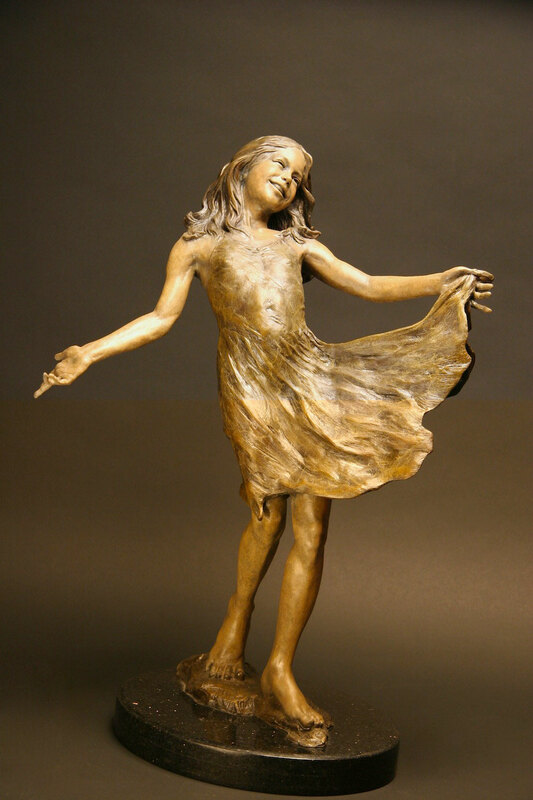 Exalting the human spirit through expressive faces and natural body movement has become Angela’s recognized trademark. 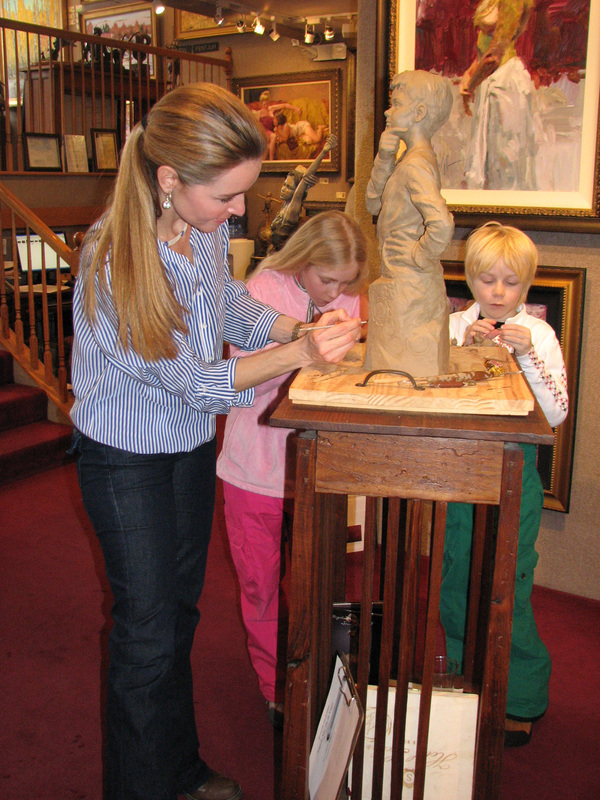 Her work’s greatest inspiration is the curious and ever-changing individuality of her children. 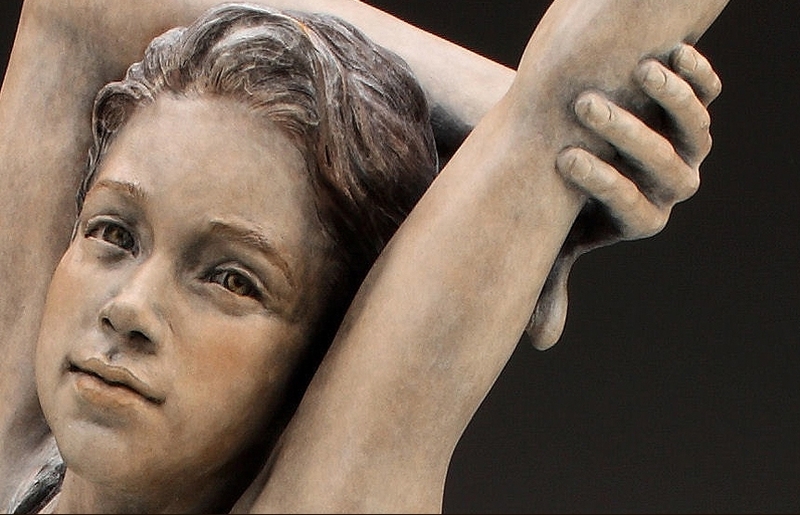 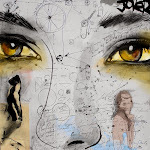 Art Renewal Center is the largest on-line Museum on the internet housing all the known works of the greatest painters and sculptors in human history, cross referenced to the largest encyclopedic online art reference library of historical texts, essays, biographies and articles. 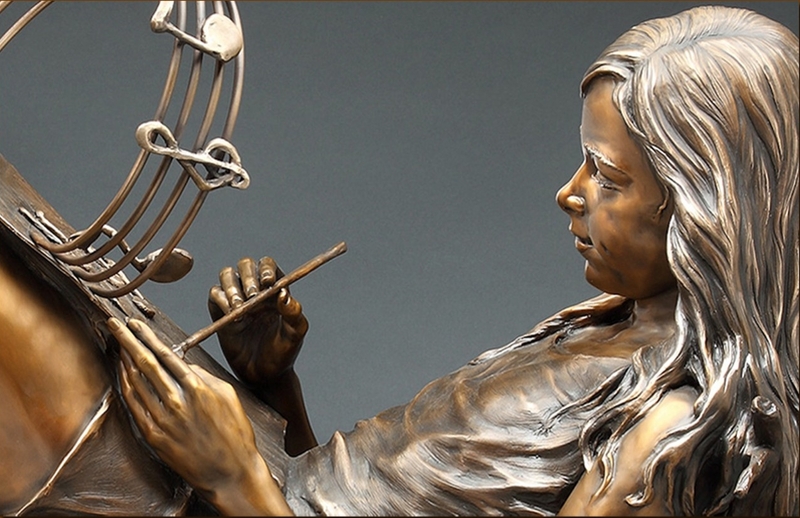 The ARC defines a "living master" as one who has the rare talent, experience and expertise to create great humanistic works of art that are seemingly executed with effortless perfection; one who has been trained under the rigorous academic principles of Realism, and mastered every parameter and nuance of great painting or sculpture. 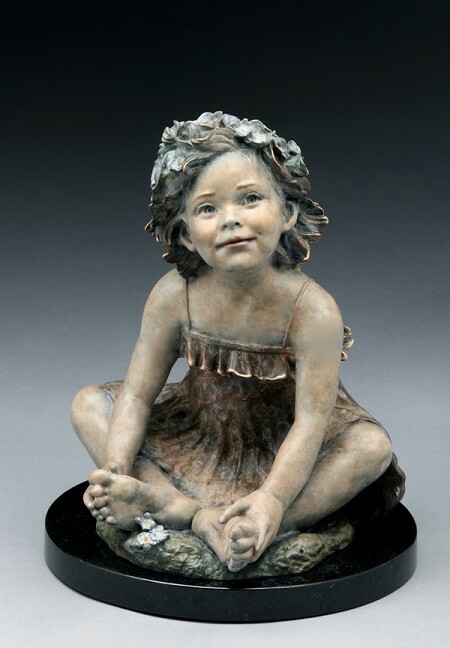 2000-2005 Artist Workshops in Loveland, CO and Richard MacDonald Studio, Carmel, CA. 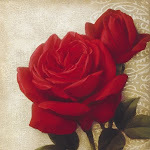 'There is so much beauty to see in every given moment. 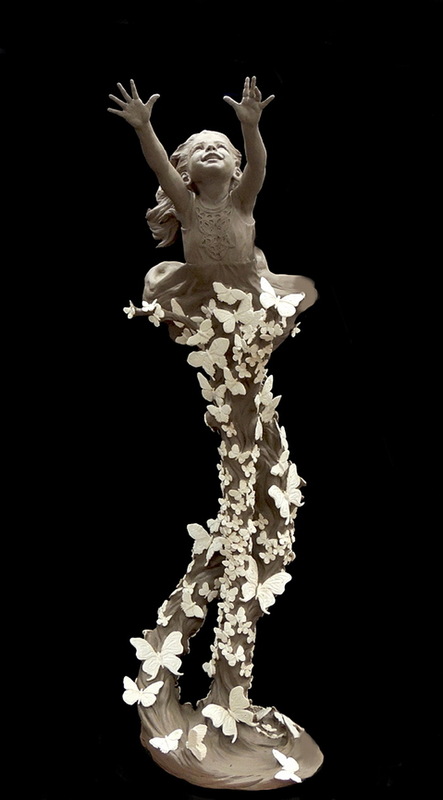 I wish desperately that I could sculpt it all, like a camera capturing consecutive moments in time, separated only by seconds. 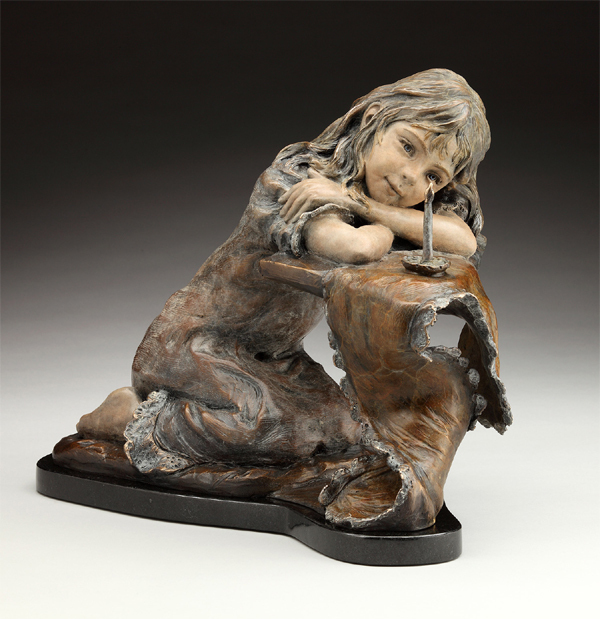 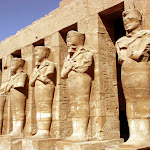 For each sculpture, I listen to memory - a vision that does not fade, as it must come into being in all of its fullness. 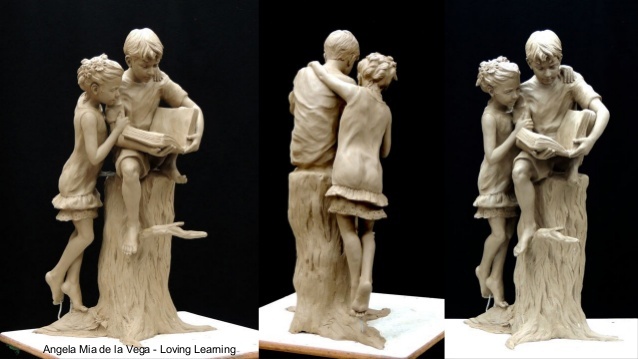 I always work with a model for this vision - a model that can represent a multiplicity of humanity, glowing with spirit, and shaping light and shadows over form. I work ardently at a torrid pace, to make sure that nothing evades my grasp of what I see. 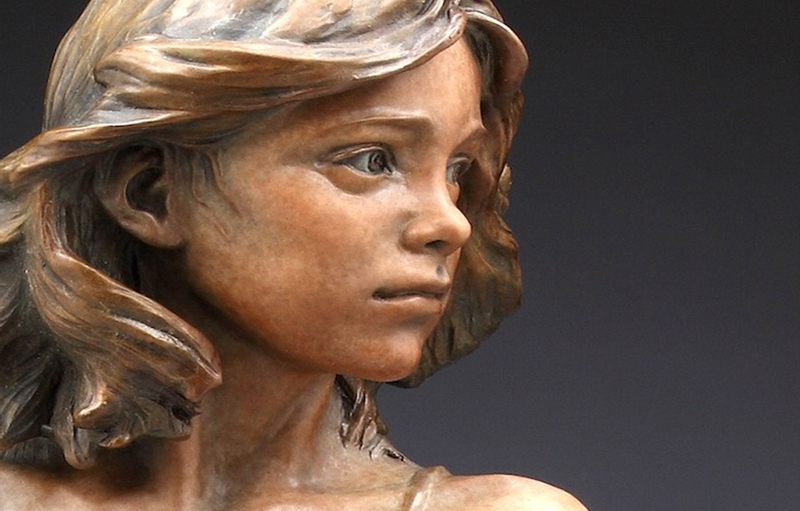 As the sculpture develops, I can slow down and focus on details such as physical features of the subject. 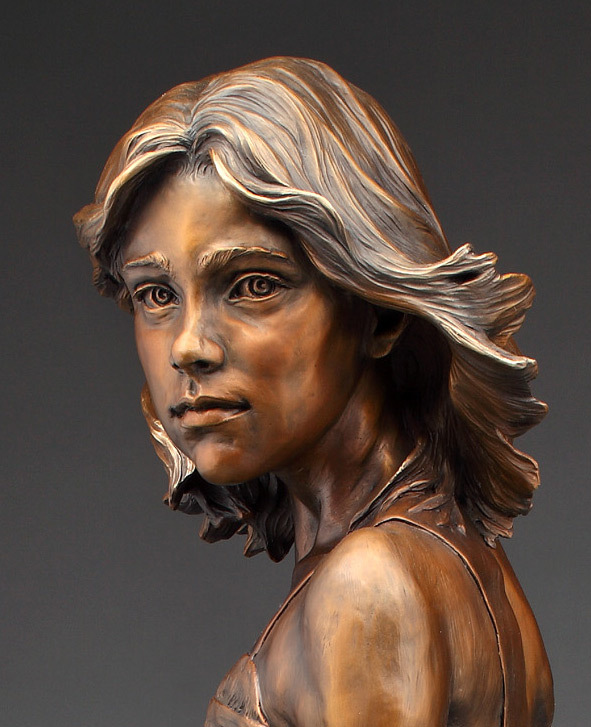 This is when I hope to focus on transferring the intensity of the subject, sculpting a body that listens as a live face does. 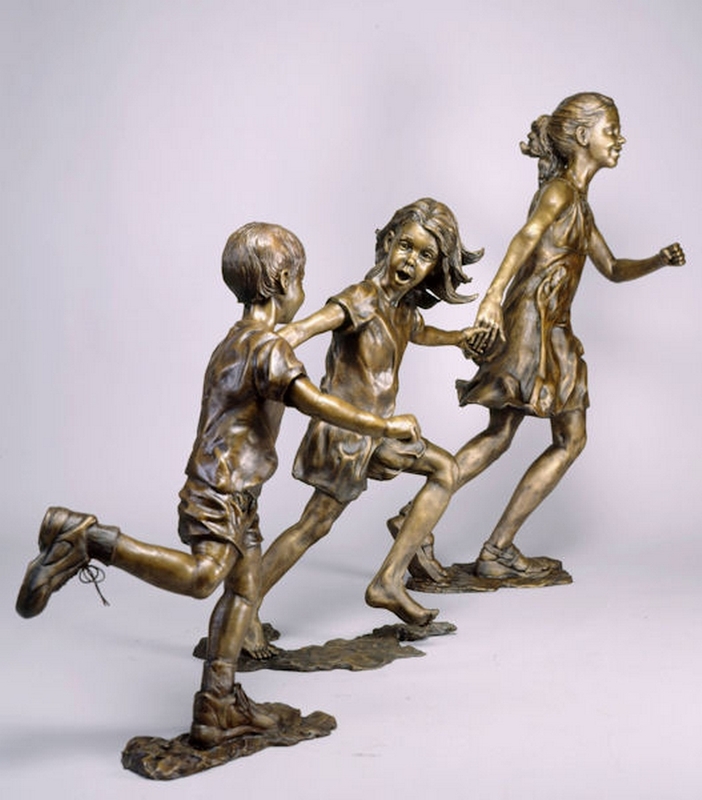 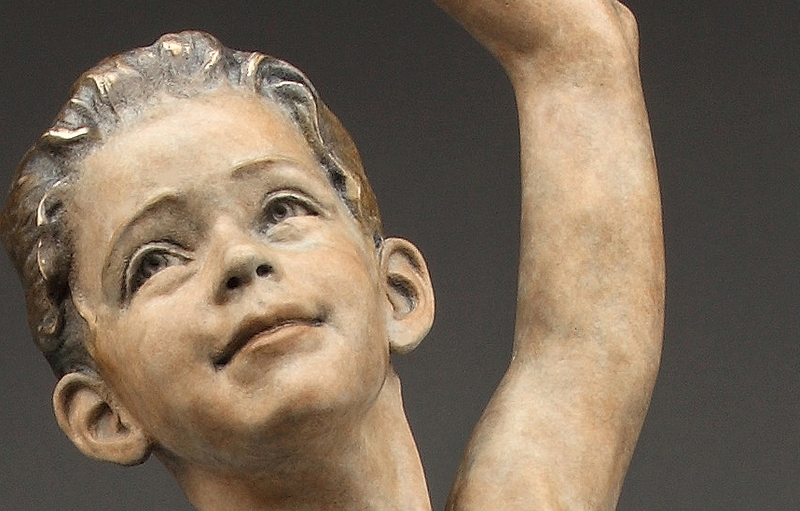 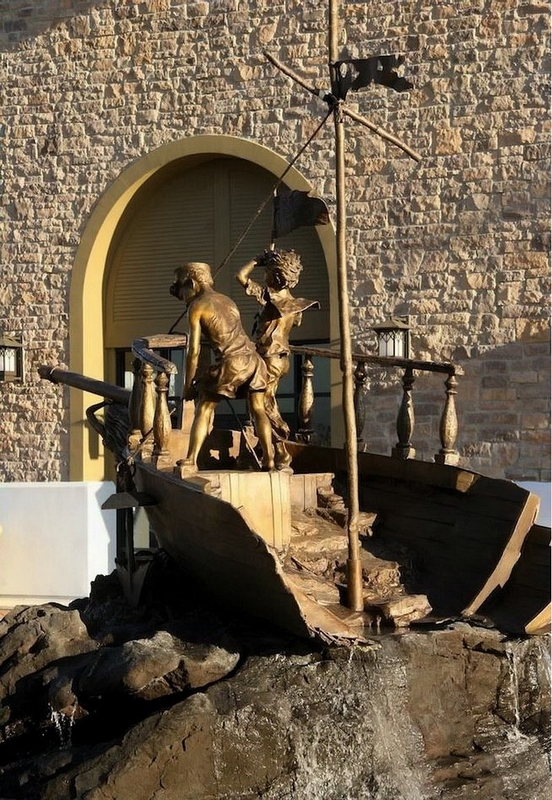 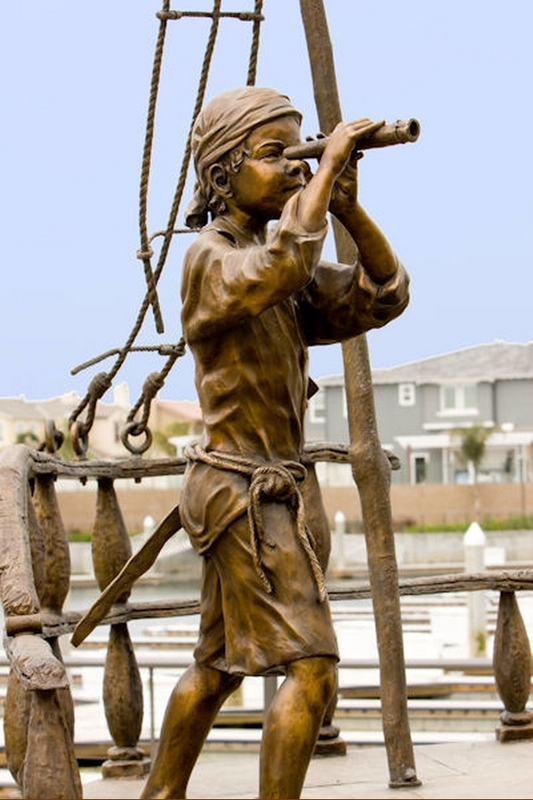 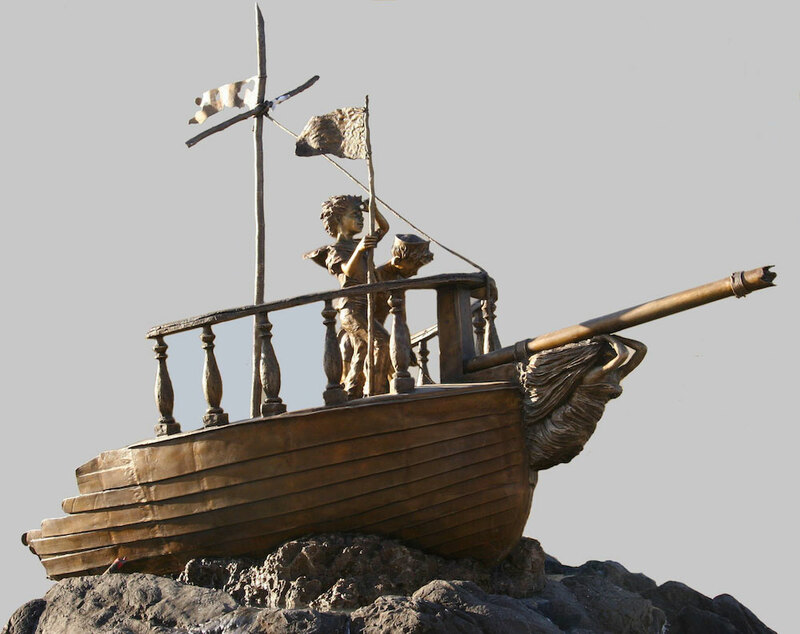 The addition of details such as clothing or accompanying objects within a sculpture are based on hours of research into culture, history and photographs in order to achieve authenticity and realism. 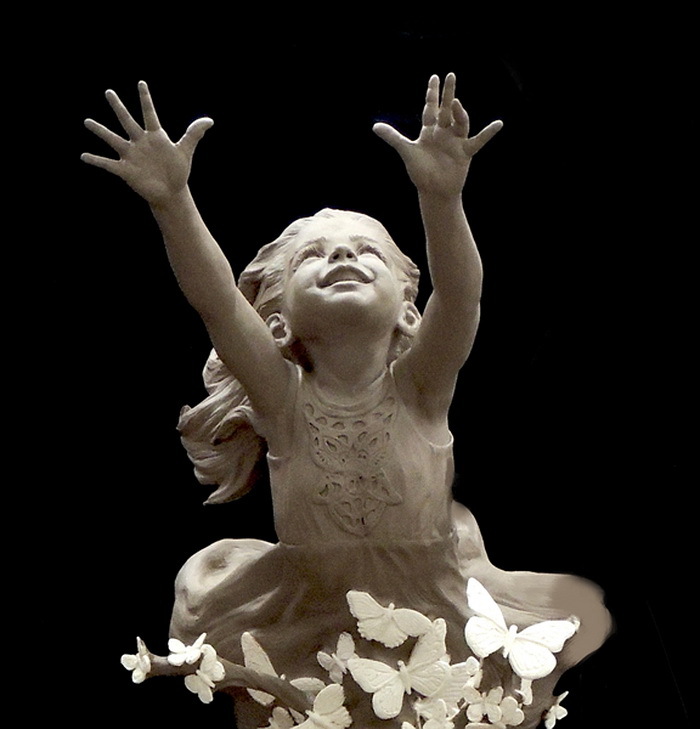 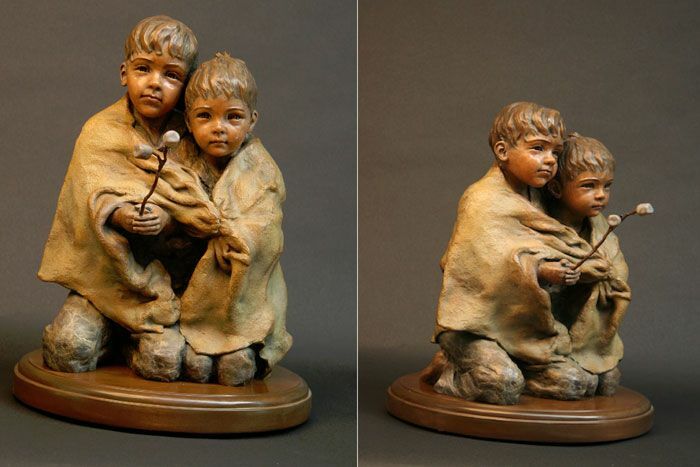 Upon signing my works at their completion in clay, I find it difficult to resist the thrill of creation...I have a strong sense that nothing is finalized; it continues to develop and grow, as do our children. 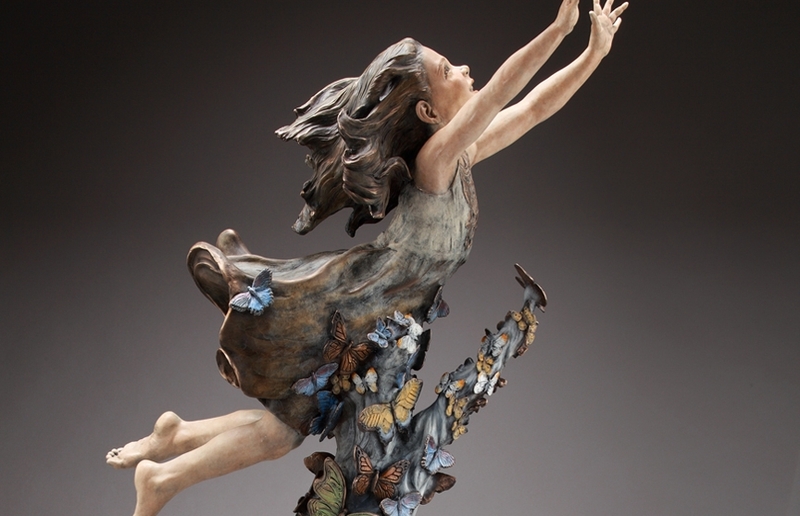 I can only hope that this is because life itself is emanating from the sculpture. 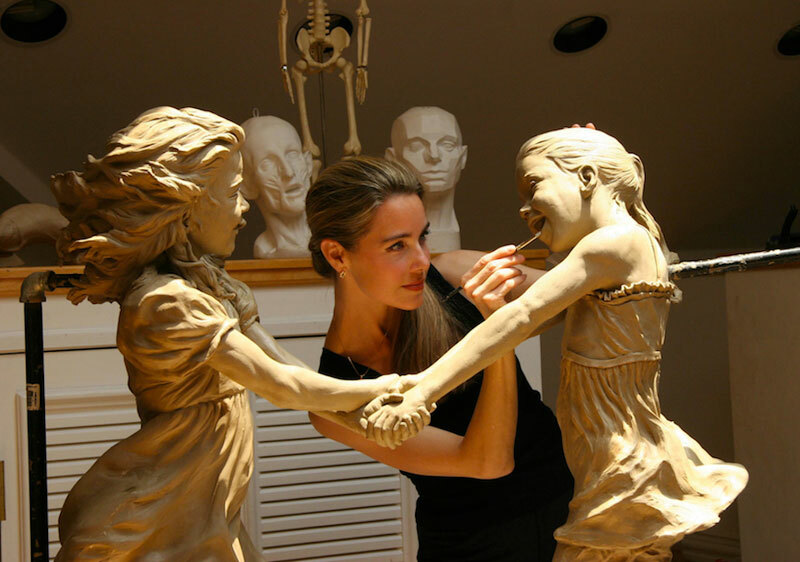 Because of the passion that inspires my sculpting, I hope to transmit this enormity of emotions to those who contemplate my work'.